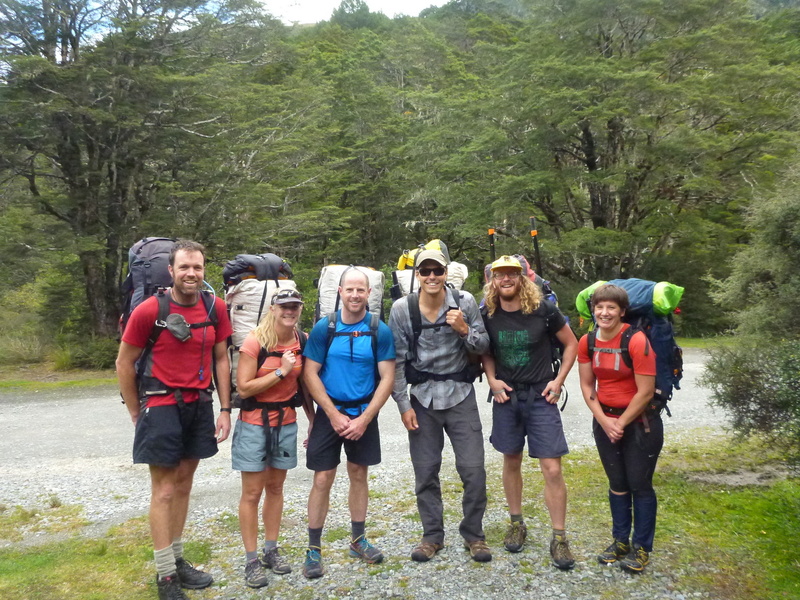 PRANZ is lead by a dedicated team of volunteers, who are committed to supporting NZ’s Packrafting Community. The committee is made up of a President, Treasurer, and up to 13 general committee members. I’m Huw, based in Queenstown, from just outside London. Originally first came over here 11 years ago. Trained up as a riverboarding guide with Arno many moons ago. Left NZ for a few years and worked as a freelance expedition leader. I took groups of people from the UK all over the world to climb Kilimanjaro, or hike to Everest base camp/Machu Pichu/Grand Canyon/Great Wall of China etc etc. I also put together a series of first decents with my river board in those years away from NZ. When my old boss decided he was gunna sell up the riverboarding business I decided to move back and put a bit in to buy him out with Arno. We we’re ultimately outbid but Arno said he had this other business idea and would I be interested in it… Packrafting. I pitched in with time, money and work to get the business started with Arno and there started by love affair with Packrafting. With my background in taking groups on hiking expeditions and my obsession with rivers, it seemed as though packrafting had been designed specifically to ensnare me! Originally from Yorkshire, I arrived in Wanaka with my girlfriend in 2017 and it was such an awesome place we never left. My background is in data analytics, and after a stint of purchasing at Cardrona Ski Resort I now work for Mons Royale doing data-ry stuff. 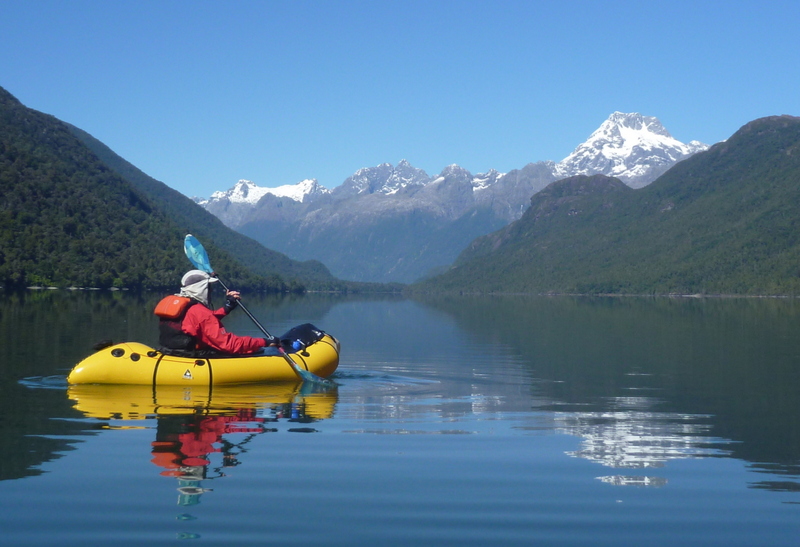 I was first introduced to packrafting when a friend took me down the West Matukituki. It was so good, within a week I was demonstrating my excellent budgeting skills by spending my whole winters savings on an inflatable boat. To reassure you, I do have a masters in Maths and Physics, so I’m usually pretty good with numbers. Now, packrafting’s my go-to summer sport (ski touring in winter) so I’m keen to get involved, learn heaps and offer what I can! Another British born escapee who found New Zealand (specifically Wanaka) and decided it had to be home. 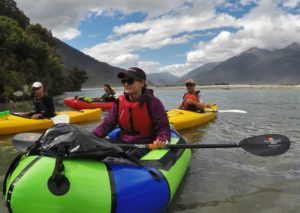 I began packrafting in 2017 and shortly after attended a 2 day safety training course and the annual packraft meetup in Te Anau. Although my customer support management skills and BA in Literature don’t help too much on the water, hopefully they’ll come in handy for the PRANZ committee so I can help with process, content, and driving continual improvement. I believe in the mission of PRANZ and I really enjoy the social side of group trips/meet ups and being part of the fantastic packrafting community. Hi my Name is Arno Marten and i am the founder of Packrafting New Zealand the first commercial Packrafting operation on the planet. Started in 2012 where most people haven’t even heard of Packrafting at all. For the last 6 years i haven been guiding tourists and teaching packrafting skill&rescue courses for our newbies. 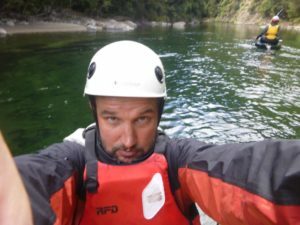 I came to New Zealand 13 Years ago teaching paragliding, scuba diving and some survival classes and after quite a few years as river boarding guide, assessor and operations manager i started PackraftingNz. I am here to keep an eye on all packrafting related things 🙂 and put my 10 cents worth of opinion into it. I have been packrafting for 2 years. 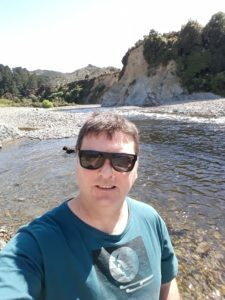 I’ve completed numerous trips in the lower North Island area. In my teens and twenties I was an avid “whitewater tuber” and custodian of the Vic uni tractor tube collection. Since then I’ve done lots of tramping, hunting, surfing, free diving and mountain biking. 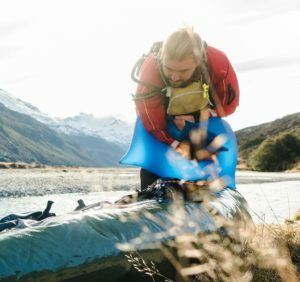 I’m keen to see us grow the knowledge base around safe pack rafting as many seem to come to the sport from a tramping hunting background, rather than formally mentored through clubs in the way that kayakers are. I’m hoping to work with the comittee on some simple stuff before that meet up like standardised hand signals, float plans and a river hazards one pager toolbox for meet ups. I’m hoping that my project management and HSSE skills will prove useful to PRANZ. I am responsible for making submissions on Council planning documents for Z Energy and regularly speak at conferences. Outside of work I have made numerous personal submissions on environmental issues including the recent Ngarororo water conservation order. Originally and Aucklander however moved to Wellington 2 years ago for work and haven’t looked back. I’m an IT consultant predominantly working in data warehousing, business intelligence and advanced analytics (machine learning and artificial intelligence). Have a fair bit of experience with web development WordPress, API’s, Facebook Pixel integration (ads that follow you) and the like too, so hope to assist on the tech side of PRANZ. Relatively new to packrafting (couple years) and looking to do the packrafting safety course at some point in the future, thus far I’ve been YouTube / internet taught. I’ve always been a mad keen multi-week unassisted solo adventurer, more on this in the future no doubt.. I made a resolution to spend my weekends away from technology as much as possible this year (given I breathe it Monday through Friday) so most weekends I’m somewhere very remote, hiking, hunting, fishing, packrafting or some sort of crazy combination. 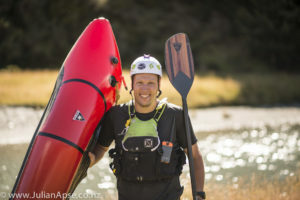 Matt started packrafting in 2017 and attended a safety course on the Hurunui with Packrafting NZ. 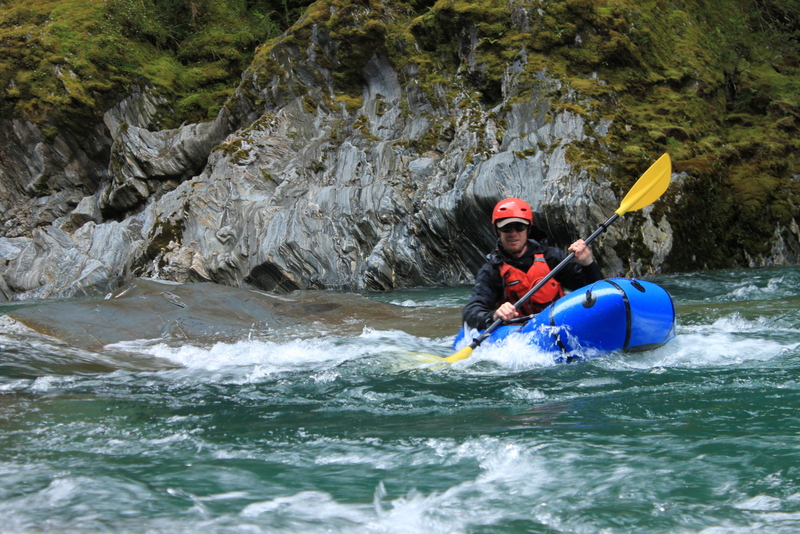 Since then Matt has paddled a number of G1/G2+ rivers including trips on the lower Pelorus and the Ahuriri. My ideal trip would be to combine packrafting with ski touring and kiteskiing. I am keen for PRANZ to build a safe and structured platform to enable all levels of ability to have fun while progressing their skills through instruction and organized trips. Matt works full-time as a software engineer in GPS technology but also volunteers for Alpine Cliff Rescue and has been trained in rope rescue, swift water and avalanche rescue plus holds a PHEC certificate. 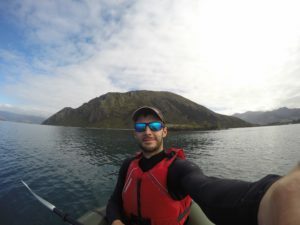 Sam is passionate about outdoor recreation, with a wide variety of interests including mountaineering, rock climbing, ski touring, tramping and mountain biking. He holds a BCom, a BA (hons.) and has been a recipient of a Sir Winston Churchill Memorial Trust Fellowship. Hugh got seduced by packrafting after many years kayaking and rafting. 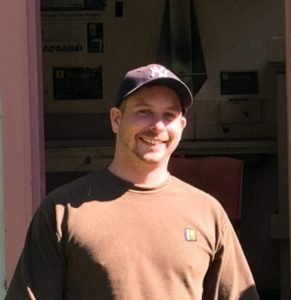 He tramped much of Canterbury and Otago, and took up kayaking with a passion in his late 30s and is a founding member of the Whitewater Canoe Club in Christchurch. 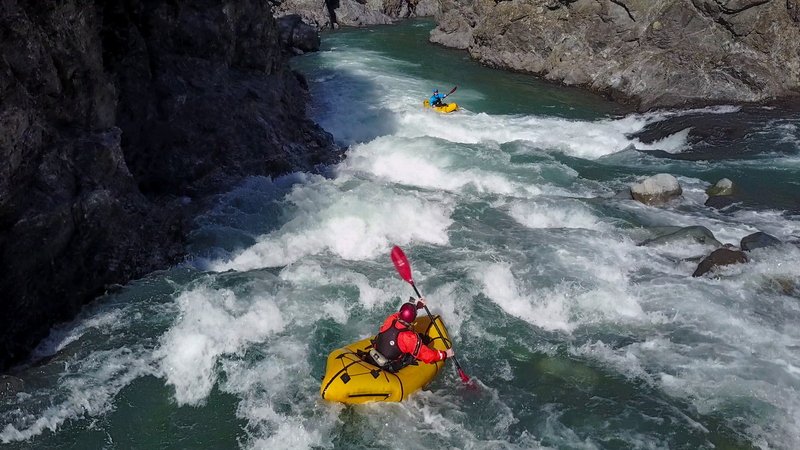 He has held quite a few executive positions on the national association and is currently Patron of Whitewater NZ. He owned a sea kayaking business in the Abel Tasman and has been on more water management advisory groups in Wellington and Canterbury than he can count. As a kayaker he ran the first descents of the Turnbull River and the Arahura River, and has paddled as many rivers in NZ as he can. He loves long river trips and has run the Grand Canyon twice, all the major rivers in France, and has run the Clarence 15 times. 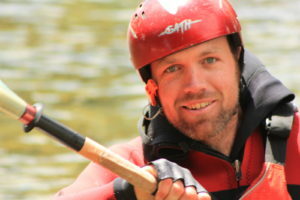 Hugh is based in Christchurch, and is the man behind Blue Duck Packrafting. 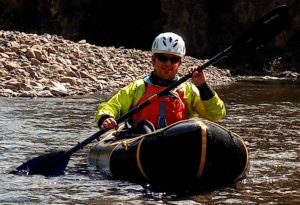 Dan began Packrafting in 2016, with a float down the Hopkins River in rental boats. 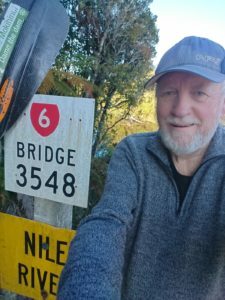 Since then he’s completed a number of overnight trips through the South Island, the highlights being the Hollyford-Pyke and the Upper Waiau. 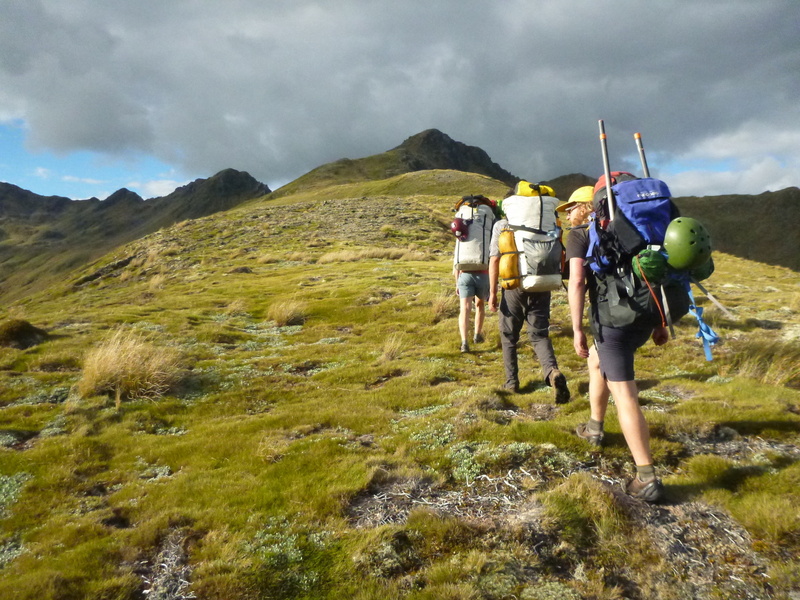 As part of his work with the Federated Mountain Clubs of NZ he saw the need and opportunity to set up an organisation to support and advocate for packrafting in NZ.